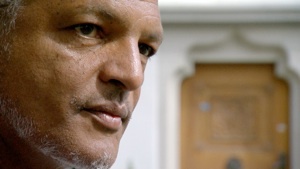 Rodney Sewell is a filmmaker and film editor with more than 30 years' experience in film & television production. Trained in Australia and based in Munich, he works on international and German-language non-fiction productions and series. He is a capable storyteller and director and a highly experienced editor. Bilingual in English and German, he is a member of the German Society of Film Editors (BFS). At the Sheffield Documentary Film Festival he produced and moderated two panels on technical aspects of documentary film production (2015: The Look: How to Get the Image Style you Want; 2016: The Hype about 4K). In 2017 Rodney is slated to edit DMAX's new series Goldrausch in Australien (prod: tough guys media), History Germany's new series War on Culture and First Act Films' two-part Skeleton in the Closet for Arte France and WNET. 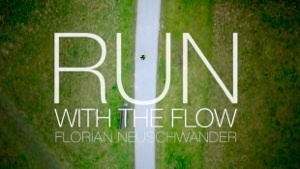 In 2016 Rodney edited and mastered Mathias Hagn's documentary for RedBull.TV Run with the Flow as well as SüddeutscheTV's current affairs documentaries Justizirrtümer and Verlorene Töchter. Rodney edited Emanuel Rotstein's documentary on the liberation of Dachau concentration camp Die Befreier. The award-winning film premiered at the 2015 Munich DOKfest. He edited two episodes of the ZDF / Arte series A Glimpse of Paradise for the Austrian production company prospera (dir: Veronika Hofer). 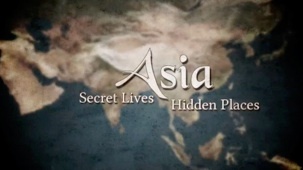 In 2014 Rodney edited three episodes of the NDR/Arte documentary series Asia - Secret Lives, Hidden Places for the production companies Eikon and Autentic (dir: Ruth Berry) and worked on 50 Years of Bavarian TV for the Munich-based public broadcaster (prod: megaherz). He edited and mastered the 75 minute documentary Die Legion - German War in Vietnam for the History Channel (prod/dir: Emanuel Rotstein), shown at the 2014 Munich International Dokfest. 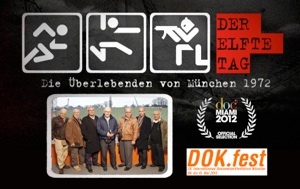 Rodney edited the Biography Channel documentary The Eleventh Day - The Survivors of Munich 1972, (prod/dir Emanuel Rotstein). The film had its international film festival premiere at the 2012 DocMiami Film Festival. It won the 2012 Mira Award as Best German Production and the 2013 Canada Intl Film Festival Royal Reel Award for Documentaries. It is the most widely sold German pay TV production ever (non-sport). In 2012 he edited and mastered of the four part series Ich Überlebte - Deutsche Schicksale directed by Petra Thurn for the Biography Channel. 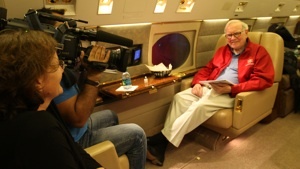 Rodney edited DOKfilm's documentary Das Milliardenversprechen (dir: Gisela Baur & Ralph Gladitz), on the superrich and their responsibility to society. The "all-star" cast includes Warrren Buffett, Bill & Melinda Gates, Baronne Ariane de Rothschild, SAP's Hasso Plattner and Nicolas Berggruen (rbb/SWR/BR/arte). The 90 minute version had its premiere at the 2012 Munich Film Festival. In mid 2011 he edited and mastered the documentary Ich Überlebte - deutsche Schicksale am 11. September (prod/dir: Emanuel Rotstein for History Channel Germany). Premiered on August 27th, the film has been picked up by History Channel US and was licensed to Sky Germany, ZDF and Bild.de. In July 2011 he edited the ServusTV documentary Der Fluchthelfer - Wege in die Freiheit to commemorate the 50th anniversary of the building of the Berlin Wall (dir: Astrid Nora Moeller, prod: megaherz). In summer 2011 Rodney directed and edited a documentary portrait on Urs Althaus, the first black model on the cover of a major US fashion magazine (prod: megaherz for the ServusTV series Was wurde aus...). In April he acted as Local Producer and German language interviewer for Futuristic Films / Genesis Inc documentary 100 Dreams 100.steelcase.com/100-dreams, directed by Oscar and Emmy nominee Daniel Junge. 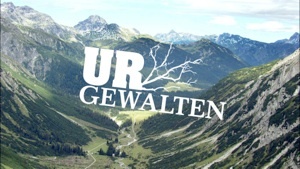 He produced and edited the documentary Urgewalten Lech for ServusTV (Dir: Stefan Panzner and Alexandra Seegerer), nominated for Best Bavarian Film at the 2011 NaturVision Film Festival, selected for the Tegernsee Bergfilm Festival and picked up for international distribution by Red Bull Media. His trailer History Award 2010 (History Channel Germany) won the Eyes and Ears Trailerfestival 2011 in the category Social Spot 360° Campaign. For ServusTV he produced 20 documentary shorts in the Horizont series. He directed and edited the Audi Self-Perception training film for Topalsson GmbH and bb-media Munich and has edited numerous BMW Individual and BMW M Series films. 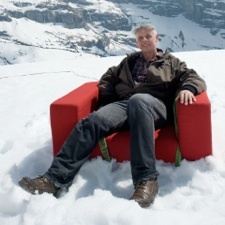 He co-developed ServusTV's portrait series Wir sind Österreich with megaherz film und fernsehen, directing several episodes and editing more than a dozen programmes. Rodney has produced and directed cultural and ecological documentaries shown on Arte, ZDF, BR, NHK Japan and ABC Australia. As well he has researched and realised films on Derek Jarman, Lorin Maazel, Claudio Abbado, Waltraud Meier and Gore Vidal. He co-wrote the narration for the award-winning international documentary Terrible Lizards of Oz. He lectured in post-production supervision at the Bavarian Academy of Televison and has been a guest on panels dealing with high-definition television and docutainment with Documentary Campus. He attended the World Conference of Science and Factual Producers in Dresden in December 2010, editing the What's the Buzz compilation with Storyhouse Productions. He produced, wrote and co-directed the short comedy 41 Sekunden, seen at 61 festivals in 25 countries, licensed for distribution by MTV America and soon to be immortalised in the UCLA Film Archive. The film was banned in Russia and voted best short film in MTV Logo's Season 5. He owns and operates an editing facility a stein's throw from Munich's Oktoberfest site. His CV is available here.